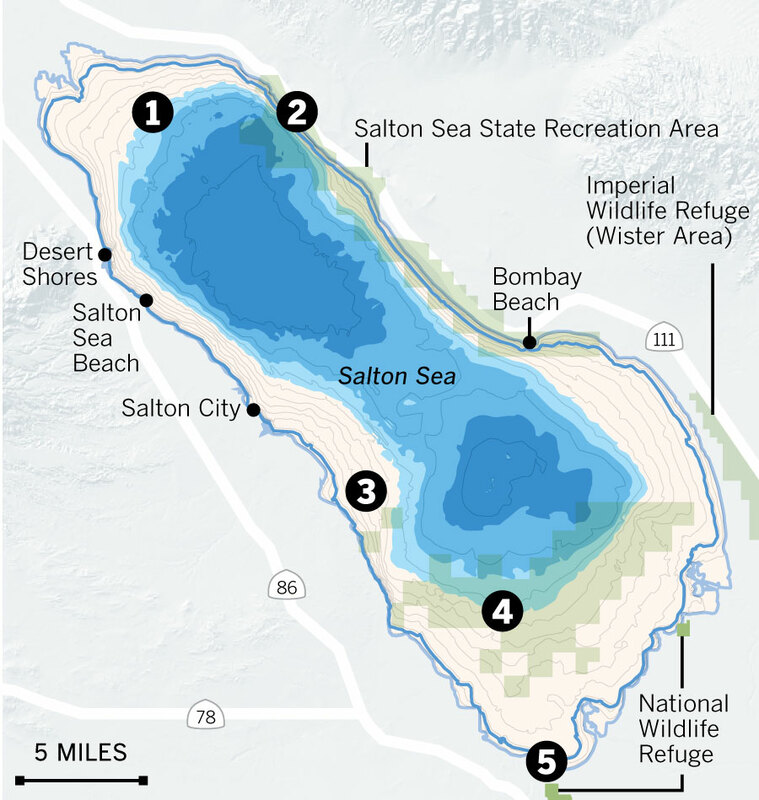 The Salton Sea, California’s largest lake at 370 square miles, once supported popular resorts and a thriving inland saltwater fishery. It is now shrinking and threatening to wreak havoc on air quality, habitat and local economies. Water transfers to metropolitan areas along the coast and other factors are exposing large swaths of lake bed and drastically increasing salt levels in the lake. If nothing is done, water transfers and other factors reducing water inflow will result in a total loss of more than 500,000 acre-feet. Could recede nearly 4 miles. Could recede by a mile along the park, once a popular fishing destination. High salinity would kill off the fish population. Could recede about 4 miles. Currently provides habitat for more than 400 bird species including many that are endangered and will be mostly dry. Could recede by more than 6 miles. 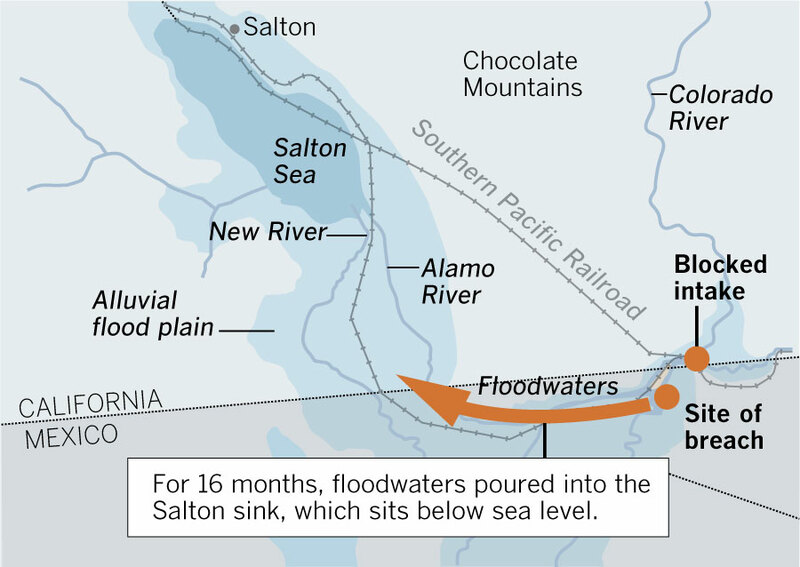 On the site of an ancient seabed, the Salton Sea formed in 1905 when, after an unusually wet winter, the Colorado River breached a canal constructed to replace water from a blocked intake. Sources: Tim Krantz, professor of environmental studies, Salton Sea Database program director, University of Redlands; Lisa Benvenuti, GIS analyst, University of Redlands; California State Parks.